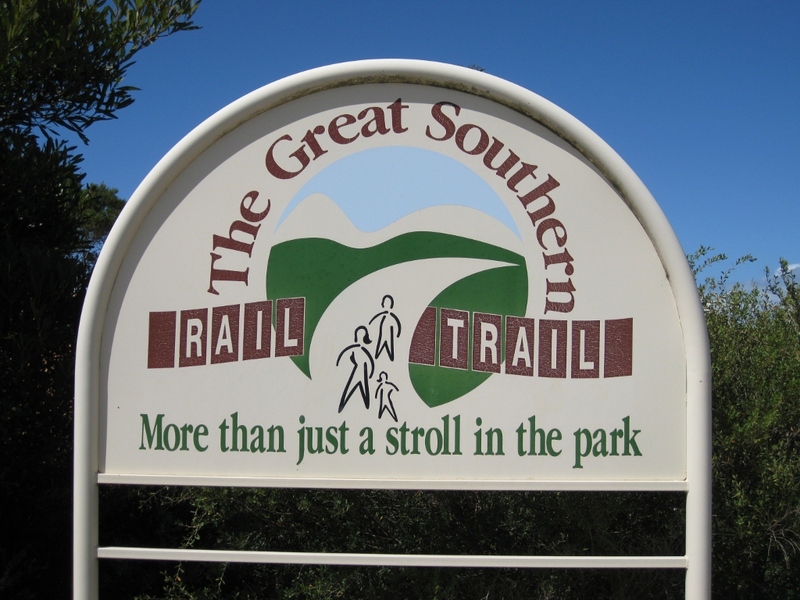 Rail Trails are former railway lines converted into walking, cycling and horse riding trails. They vary in length and terrain and some are more suited to one or more of these activities. Three Rail Trails were chosen by our leader Lorraine as representative of those found in Victoria. They were the 45km Old Beechy in western Victoria, the 50km Great Southern and the 97km East Gippsland, the latter two in eastern Victoria. Only selections from these three Rail Trails were walked and reports on each Trail are below. 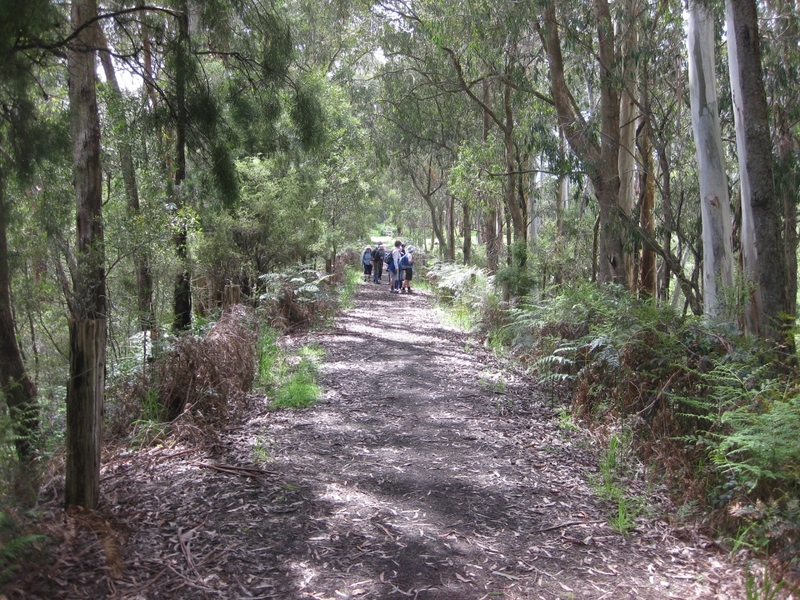 This Trail is a former narrow gauge railway from Colac to Beech Forest. 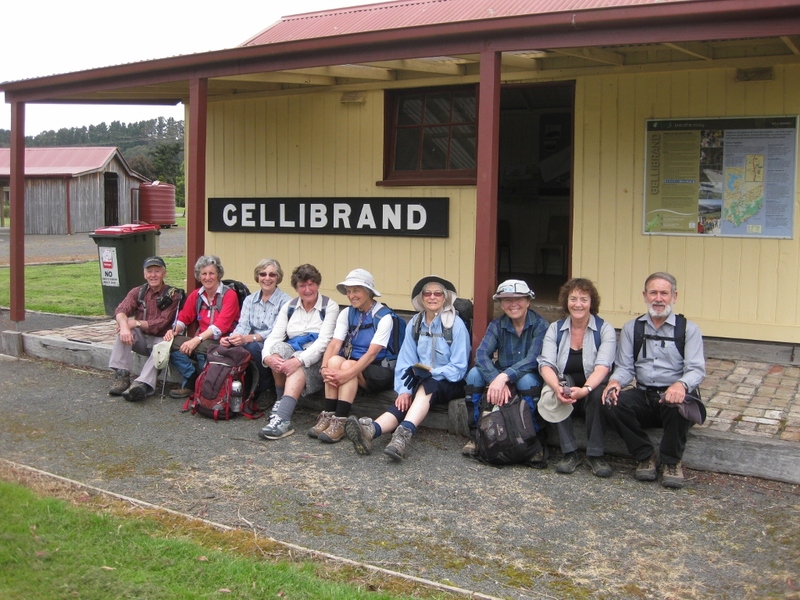 On Day 1 we walked from Barongarook to Gellibrand through scenic forest and farmland and onto the old Gellibrand station. On Day 2 we walked from Gellibrand to Dinmont through farms and picturesque bushland, passing old overhead bridge remains and ferny forest. 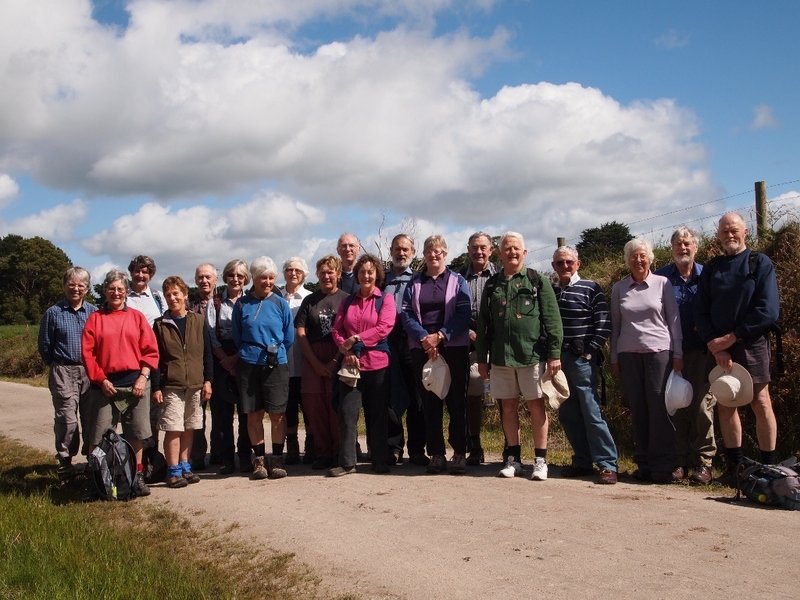 Both days were most enjoyable and of course the usual coffee and cake followed each day’s walk. A dinner concluded our stay in Gellibrand and we prepared to move on to the next Rail Trail. The original railway opened in 1892 as a wide gauge railway to service the dairying area of South Gippsland from Dandenong to Port Albert. It closed in 1992 and the track was converted to a Rail Trail. On Day 1 we walked from Buffalo to Fish Creek and from Meeniyan to Minns Road through dense vegetation and native forests of Blue Gums, Paperbarks and open farmland. Over this section the Trail rises 40m then drops 50m. On Day 2 the walk was from Fish Creek to Foster through a series of cuttings and embankments, much dense forest with a great variety of plants including tree ferns and plenty of bird life. Spectacular views of Wilson’s Promontory and Corner Inlet were seen by the walkers. A dinner concluded our stay in Foster. 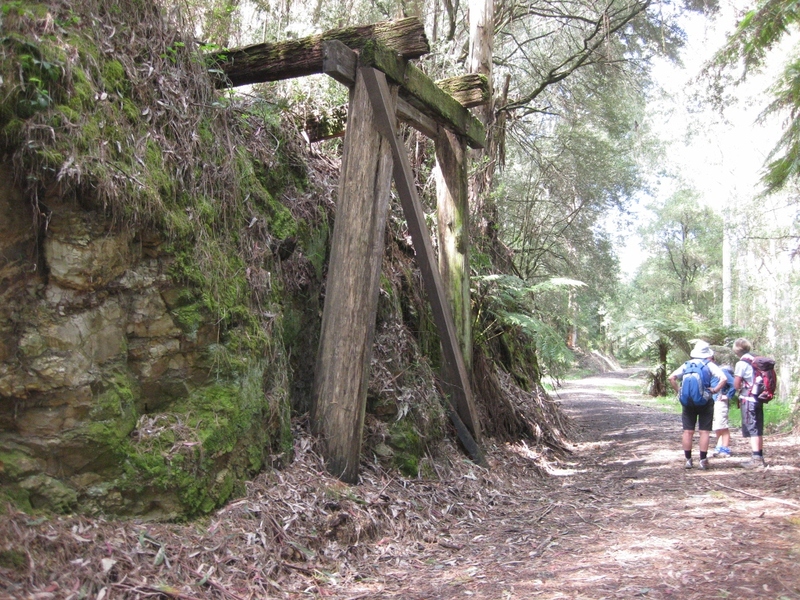 This Rail Trail runs between Bairnsdale and Orbost in East Gippsland, a distance of 97km. We had 3 days of walking on the Rail Trail west of our base at Nowa Nowa through rich grazing and farmland, Colquhoun State Forest and past an impressive disused 276m long and 19m high timber bridge that crosses Stoney Creek. On day 4 we took a walk on the Discovery Trail which gave us magnificent displays of wildflowers and stately forest trees. On day 5 we had a rest day. Days 6 and 7 we walked from Nowa Nowa eastward to near Orbost through forest and farmland. 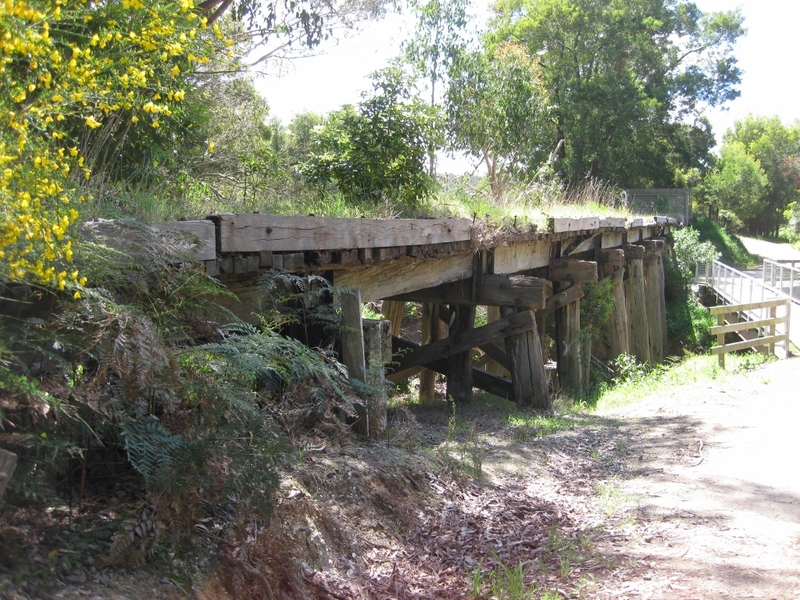 A feature was a curved trestle bridge and the viaduct across the Snowy River Flats, both now unused. Following the final day’s walk we celebrated with a dinner in the local hotel. Our thanks to Lorraine and Murray who so ably organised this very interesting and successful camp.